Two-part build comprising of a modern communal carbon friendly green roof Pavilion alongside the refurbishment of Grade 2 Park Lodge. 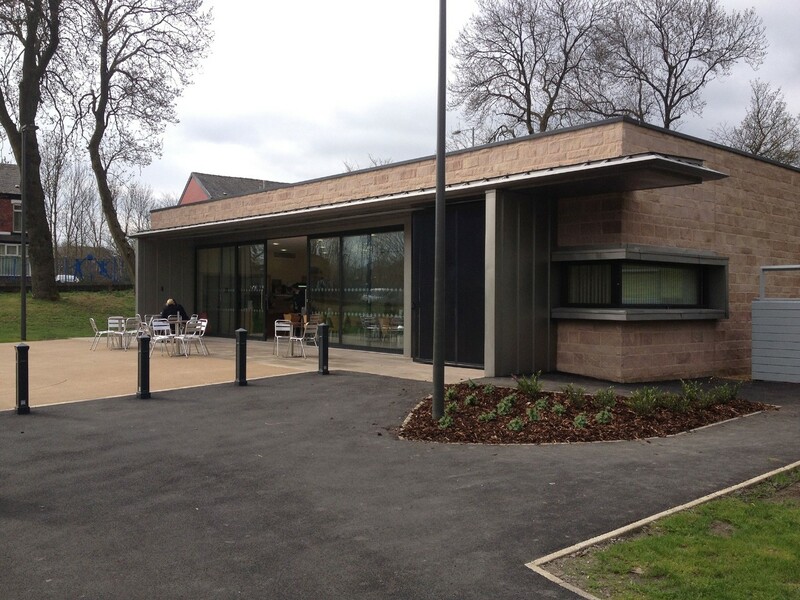 Queens Park was jointly funded by Bolton Council and the Heritage Lottery Fund. 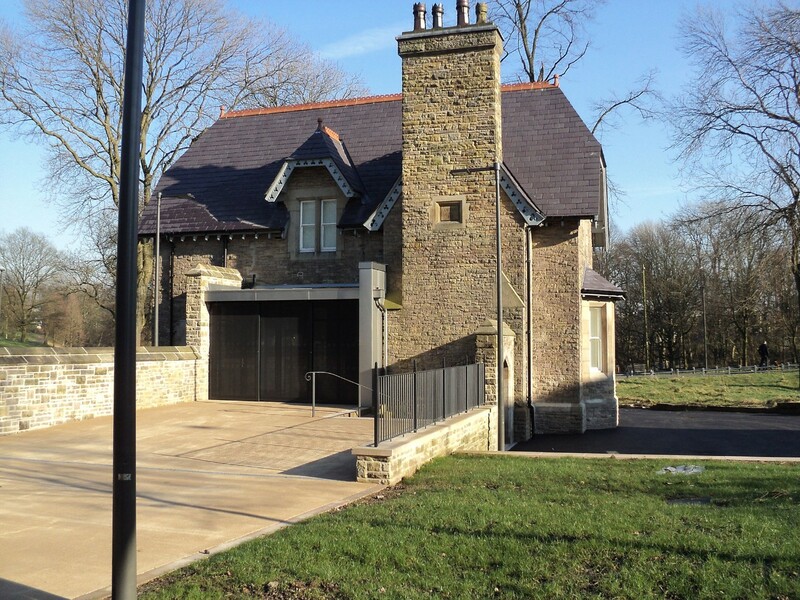 The Grade II listed Lodge has been refurbished to provide high quality office accommodation on two floors whilst retaining the original detail throughout the building. 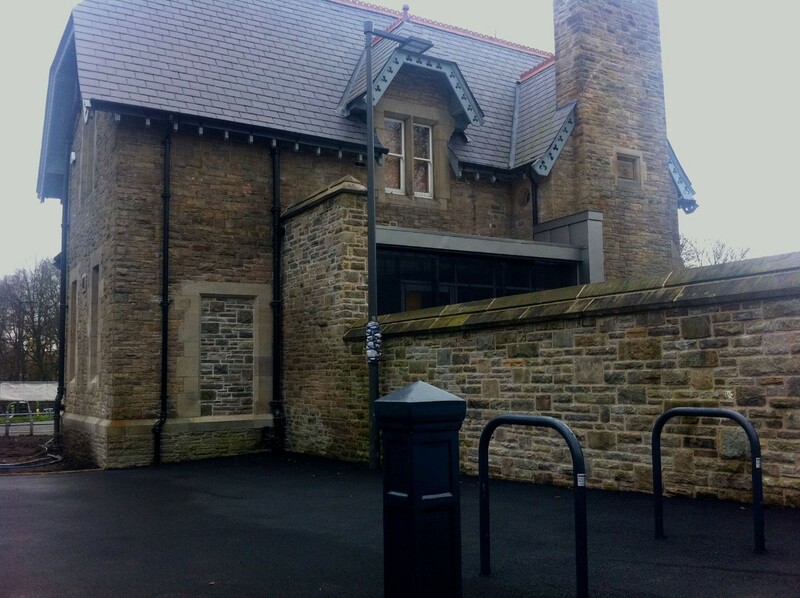 The Lodge was refurbished internally and given a new entrance porch similar in design and materials to the new build pavilion. The Pavilion is on the site of a former playground, which has required the use of Vibro Piling to stabilise the ground prior to building. The new build is a partial steel frame design with natural stone walling and a Bauder green roof, zinc clad entrance, along with large sliding doors to the front elevation. 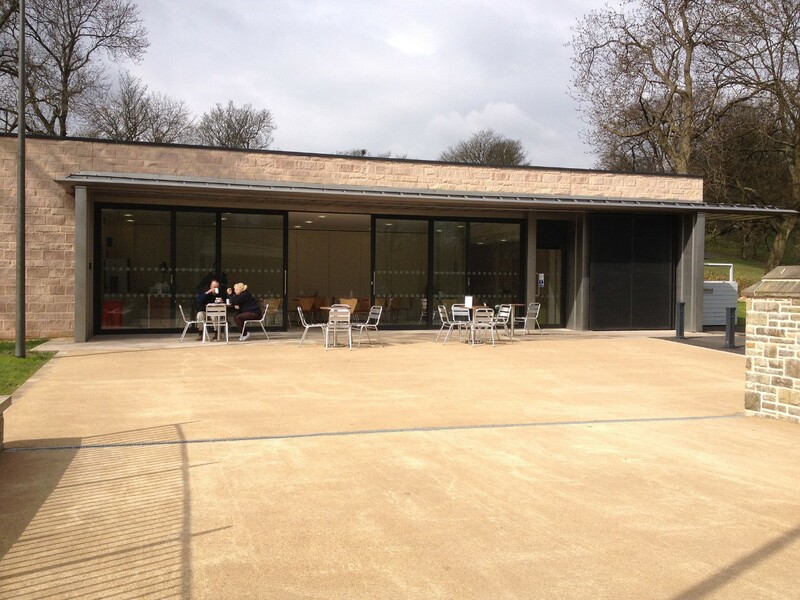 Designed as a multi-use space, the pavilion has the benefit of under-floor heating, air conditioning and sliding folding partitions, which allow the space to be divided whilst keeping the reception, toilets and café areas easily accessible to all.